What Do The Colorado Floods and Knee Replacements Have in Common? 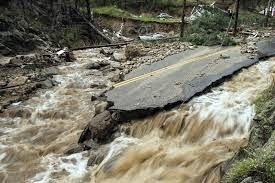 -What do the Colorado floods & knee replacements have in common? yet my unfailing love for you will not be shaken nor my covenant of peace be removed,"
Has the Lord ever surprised you with a retreat vacation - all at His expense? In April, the Lord had been prompting me to pray for a retreat getaway. No seriously, He did. I knew that we couldn't afford a trip, unless He was in it, so I just began to pray as I felt led. In May, some friends of ours offered us a week stay at their condo in Colorado and said we could use it any time. They said it would make a good "retreat". Hmmm, was God really going to give us this trip? I continued to pray and then more starting falling into place. My sister, offered us some points to use for a rental vehicle. When we booked the vehicle, we reserved a Jeep Cherokee - we needed room for 4 people, coolers and suitcases. On a side note, when we went to pick up the vehicle, we got upgraded to a Nissan Armada. Wow!!! God even provided us with the gas money. What a good and perfect gift from the Lord! Ok.. so the reason I told you all this is because, while we were in the mountains, the Lord was beginning to show me of things to come. (Isaiah 42:9) The verse I listed above, is one He gave me for two reasons. The first just to give me peace. I was really struggling with my health, my adrenals had crashed on the drive there and I also experienced some altitude sickness. And two, I sensed He was showing me something was going to happen in Colorado. I just didn't know what. I began to intercede. For the next month after we got back, I kept hearing about people going to the Colorado mountains. It seemed like everybody I knew or every post I saw on Facebook, mentioned a trip to Colorado. I asked the Lord did that have meaning? I felt a strong burden for the people in the mountains, for the valleys below, but I still didn't have clarity on what might happen. Let's change directions now. For the past three months, maybe longer, I've been hearing about different folks getting knee replacements. At first, it was just a part of the conversation, but then the amount of times I was hearing about this person, or that person getting a knee replacement or a second knee replacment recently had me again pressing into the Lord to see if there was any significance to it. The sense was yes, but no clarity. As I continued to pray, the Lord began to reveal His heart and the meaning behind all the knee replacement surgeries. A Word for the Church..... - "We are in a desperate, critical hour. The Church must be on their knees. The Church needs to be on their knees praying for mercy, praying for change in our country, praying for change in the world. The Church needs to get back to the godly values, godly principles and godly ways - get back to the roots of our Founding Fathers. Time is short! Time is running out. We are already on borrowed time. The spiritual deficit is greater than the monetary deficit. The Lord wants us ALL to be on our knees praying. Prayer is the one main way we can see change happen. We need to be praying for blind eyes to be opened to see and know the one true God - Jesus Christ! We need to pray that the Church will awake and rise up into the Bride of Christ. The Church is not doing what they are commanded to do in the Scriptures. They are idle, status-quo, sleeping and satisfied with things of the world. In My Word, is all you need to know that pertains to life and godliness. (2 Peter 1:3). You are to be the light of the world, set apart and called. Greed, selfishness, lust and lawlessness has overtaken even My Church. I weep over all I see. Return to Me, your first love. Return to My Word. I am a God of mercy. I am a God of lovingkindness. I am a God who loves you and loves the world. Return to Me! God’s wrath comes on those who are disobedient. Live as children of light (for the fruit of the light consists in all goodness, righteousness and truth) and find out what pleases the Lord. What do the Colorado floods and knee replacements have in common? The floods are one of many things that have happened and what may happen if we don't get on our knees. 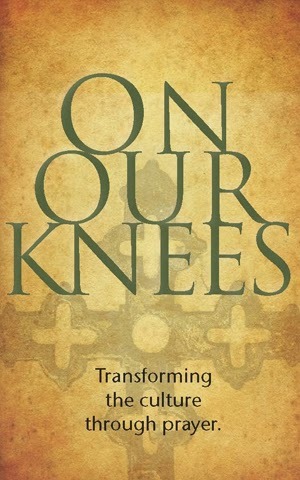 We need to be wearing our knees out from being on them in prayer. Last summer the Lord showed me our country would be experiencing weather related events that would be "epic" or history making. The Colorado Floods of 2013 are just one of many epic events that have happened. The Lord is speaking to His people.... are you listening? Seek the Lord...what might He want you to do, or do differently? What, if any, idolatry needs to be repented of? What can you do today to make a difference for the Kingdom of God? ?